So I assume that the big news that Viz Media was hinting about on twitter is the release of the Viz iPad App. The app lets you download some of Viz’s popular Shonen Jump titles like Bleach, Dragonball, One Piece, and Naruto. The first volume of Death Note is free for a limited time, and free sample chapters are also available. It looks a lot like a skinned Comixology app to me, so similar that I was surprised Comixology wasn’t mentioned in the Publisher’s Weekly article. But maybe Viz just created a very similar app. I quickly downloaded Death Note. The reading experience is exactly what you’d expect if you’ve already been reading comics on the iPad. You can turn pages by swiping your finger in the direction you want to go, and it is easy to zoom in on the art. What I’m curious about is the selection of titles that will ultimately be available. I’m probably not the main type of consumer Viz is going for, but I’d love to see some of the series in Viz’s back catalog be made available electronically. I’d totally buy some of Viz’s older shoujo series like Please Save My Earth or Kare First Love if they were made available electronically. I have so much manga in the house, having electronic copies would be one way to catch up on some of the series that I’ve missed reading before and I wouldn’t have to worry about my continually overburdened bookshelves. Also, I would likely sample some of the shonen series that I’ve dropped if some of the more recent volumes were available. $4.99 per volume seems like a decent price point. I’ll be checking out this app to see what happens when more titles are available. To enter, just leave a comment on this post with the name of your favorite manga heroine. I’ll select a winner at random on Nov 11. You must be 18 to enter. Today’s Saturday morning cartoon is the opening sequence of Princess Jellyfish, a new anime that Funimation just started streaming. The characters are shown reenacting scenes from classic movies like Star Wars, Mary Poppins, James Bond, and The Graduate. Ordinarily I don’t automatically tend to go for stories about female otaku, but Princess Jellyfish is very cute. Tsukumi from the first moment her mother took her to visit an aquarium. She moves to Tokyo to become an illustrator and moves into a shared apartment house owned by a shut-in manga creator who only communicates through papers shoved through her door. “The Sisterhood” that lives in the house are all made up of female otaku. One loves trains, one loves Kimono, there’s a woman obsessed with martial arts and the Chinese classic Romance of the Three Kingdoms. When a beautiful woman helps Tsukumi take home a jellyfish that is being mistreated by an ignorant aquarium owner, Tsukumi discovers that her unwanted new friend is actually a cross dresser. Here’s the Hulu Channel for the show. Two episodes have been posted so far. There have been quite a few manga style adaptions of young adult books. I find the idea of reading original side stories set in an author’s universe more interesting than reading a manga adaptation of what I’ve already read. I’ve read the first three books in Melissa Marr’s Wicked Lovely series and mostly enjoyed them, although the third book teetered on the edge of being a little too emo for my taste. I wrote about Wicked Lovely and Ink Exchange over on the Bureau Chiefs site. Wicked Lovely: Desert Tales features characters from the main books, but the focus is on a new character named Rika. The Wicked Lovely series is an urban paranormal fantasy series. Keenan, the Summer King of the fairies has been on the hunt for his Summer Queen for centuries. He chooses his queen candidates from mortal girls. There’s a test they have to pass – if they grasp the staff of the Winter Queen and survive the ice, they’re his destined mate. If not, they’re iced over and turn into the Winter Queen, the Summer King’s most hated enemy. Rika is a mortal girl turned fairie by her experience being forced to serve as Winter Queen. She’s taken refuge in the desert, far away from Keenan. Her main distraction is watching a mortal boy – an artist and rock climber named Jayce. Rika is careful to observe the usual fairy rules about contact with mortals and keeps herself carefully invisible. But the wild desert fey threaten Jayce and she intervenes in order to keep him from being injured. Jayce is mystified at the sudden appearance of a beautiful girl, and they have an awkward first date which consists of them wandering around a nearby town while Rika tries to fight off invisible assailants. Her one local ally is a faerie named Sionnach who seems to be pushing Rika towards the mortal for reasons of his own. Melissa Marr excels at writing about romance in the initial attraction stage. Jayce and Rika meet, she bandages him up, and as they start talking to each other they share their interests in art and the desert landscape. The character designs fit with the slightly punked out sensibility of the Wicked Lovely books. Rika has pale eyelashes and a choppy bob, providing a contrast to Jayce’s dark skin and dreadlocks. The mischievous desert fey that harass the budding couple are drawn with lines of sand scattered across their skin. I found the story a little more interesting than the art, and there were a couple places in the book where I wished for better transitions between panels or across pages. I think that fans of the Wicked Lovely series will enjoy this book. I’m not entirely sure how accessible it would be to someone who isn’t already familiar with Melissa Marr’s world. I found reading this manga to be a bit of a relief after Ink Exchange. The love triangle in the main series with Seth, Aislinn, and Keenan has just gotten a little bleak and depressing so I enjoyed being able to visit the Wicked Lovely world with some fresh characters who aren’t bogged down with the continuity in the main series. There are two additional volumes in the Wicked Lovely: Desert Tales manga series, the concluding volume comes out in February. Japanese publishers tend to shy away of digital distribution, so I’m finding the case of Shuto Sato‘s Say Hello to Black Jack really interesting. I was interested to see the notice at Anime News Network that he’s seeking English translators for his online comics site. Sato disclosed financial numbers for what he was making as a mangaka before switching to online distribution. 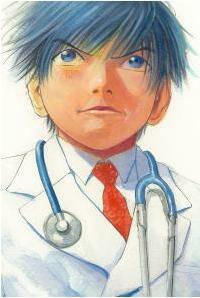 I’ll be curious to read an authorized English translation of Say Hello to Black Jack when it becomes available. One of this week’s spooky manga picks is the always excellent shonen monster hunting series Kekkaishi. It is daunting sometimes to try to catch up on a long running series like Kekkaishi, but Tanabe’s excellent pacing and character development make it possible to keep following the story even if you have skipped a few volumes. I’ve read the first five volumes of the series previously. Things are growing more complicated for monster hunters Yoshimori and girl next door Tokine. Performing their duties as protectors of the mystical energy site located by their school used to be fairly straightforward, but now they’re dealing with an organized effort from a group of ayakashi (monsters) who even have the ability to take on human form. They’ve been sent an ally named Gen from the Shadow Organization, where Yoshimori’s brother has now risen to a position of power. Gen has been taken out of the fight and Yoshimori and Tokine have to fend off a large group of monsters by themselves. Yoshomori’s latent power briefly manifests when Tokine is frightened, and the leader of the monster pack inexplicably calls off the attack, perhaps content in finding out something about Yoshimori’s power levels that young kekkaishi doesn’t even know himself. The remainder of the volume shows some of Gen’s backstory as he struggles with the idea of continuing his assignment to help Yoshimori and Tokine. Gen is half ayakashi, and has the potential to turn entirely into a monster if he isn’t careful with restraining his power. Yoshimori’s older brother Masamori placed him with a special class within the shadow organization called the Night Troops, which is made up of other children similar to Gen. Masamori also seems to be playing politics within the Shadow Organization, so it is easy to see why Yoshimori might be suspicious of him. It seemed to me like there was a tiny bit of character progression in the way Yoshimori was drawn. I thought he looked a little bit more angular in the face, perhaps showing him as becoming more mature as a person and in the use of his power since the series started. Tanabe’s monster designs are always a highlight of the book, with Yoshimori’s foes looking like demonic versions of a squid, Cousin It, a mutated bat, and an odd insect. The ninth volume is devoted to some fun training sessions for Yoshimori, Gen, and Tokine when Gen’s monster trainer Atora shows up suddenly to put them through their paces. She challenges them to capture her, and they’re forced to work together as a team. Tokine and Yoshimori already have a rapport, but Gen just tends to rush off into battle and doesn’t coordinate his actions with others. Due to some traumatic events when his power manifested Gen tends to hold himself apart from others. Atora was a fun character, who was always drawn with a sunny grin on her face. She announces her presence by blasting the door in and seems absolutely delighted at the opportunity to stage a mock battle. More importantly, she wants to check up on her pupil to see if he’s finally making friends. She’s accompanied by a giant bear named Raizo who is extremely cute even as he starts emitting dangerous electricity. While the new three person team of kekkaishi begins to work together, the organized group of akakashi start acting up in mysterious ways. One of them drinks up the mystic swamp where the spirit Lord Uru lives, and Yoshimori is concerned about the fate of the nature god. This volume contained some of Tanabe’s great arresting images. Yoshimori’s grandfather thinks one of his old friends might be in danger of an attack, and a representative of the Shadow Organization breaths a giant smoky scorpion into existence in order to provide transportation. Gen and Yoshimori bond over lunch as they float on a cube of energy far above their high school. I think it says a lot about Tanabe’s skills as an author that a manga that juggles complex plots and a variety of characters is still easy to follow even if there are gaps in the volumes that you’ve read. One of these days I’ll be totally caught up! In a world filled with formulaic shonen, Kekkaishi really is something special. Just what I need, yet another shoujo series to follow! I didn’t run out and preorder the first volume of Dengeki Daisy when I saw it solicited. I tend to enjoy most Shojo Beat series, but I thought the idea of a girl getting over her brother’s death due to her guardian angel “Daisy” who is reachable only by cell phone was maybe not the greatest premise for a story. Then I saw all the positive reviews for the series from other manga bloggers and I started to think I was missing out. When Viz sent me a copy of the second volume, I decided to give in and try the series, and I was very pleasantly surprised. Dengeki Daisy starts out with a rather worn out premise, but the execution of all the details made the story seem fresh. Teru’s older brother has died, but before he passed on he gave her a cell phone and said that the phone will connect her to a person named Daisy who will always be there to support her. As the volume opens poor but sassy Teru is treating the phone like a false diary, telling Daisy that she’s doing fine when she’s being bullied by the sadistic student council at her school. Teru isn’t a helpless heroine. After she gets splashed with a bucket of water she turns a hose on the perpetrators. She’s aided further as some balls thrown by a mysterious rescuer connect with the heads of her tormentors. Teru tries to throw the balls back in the direction where she thinks they came from, but they end up breaking a window at the school. Enter the creepy yet astoundingly young and handsome school custodian Kurosaki. Since Teru is too poor to pay to fix the window, he announces that she’ll become his servant and puts her to work performing custodial tasks while he communes with his laptop. They quickly fall into the habit of bickering, as Kurosaki gruffly orders Teru around and she bids him farewell by saying “I hope your hair falls out by tomorrow!” Kurosaki always seems to be around when Teru needs help. When Teru needs help hacking into a computer in order to aid a classmate, she texts Daisy and the situation is quickly resolved. She asks Kurosaki if he’s Daisy and he denies it. That scene was where I thought there was an indication that Dengeki Daisy might be a little more interesting than the average shoujo manga. I think in a more conventional title, it would take at least a volume or two for Teru to register the suspicion that Kurosaki is Daisy. Bad boys who are secretly good are shoujo staples but Kurosaki is a superior example of the type. I found myself captivated by his expressions of unholy glee as he dealt with the people who were picking on Teru. He was gruff and surly with Teru, and only had a gentle expression on his face when she couldn’t see him. Thankfully the evil student council plot is left quickly behind and the odd couple end up having to unravel something more interesting – industrial espionage. Teru’s older brother was a genius engineer, and unscrupulous people suspect that since Teru’s only inheritance from him was a cell phone it might be more valuable than it appears. While Kurosaki isn’t revealing his identity as Daisy to Teru, he used to work with her brother and took the custodian job to watch over her. He’s filled with guilt about the death of his friend. Motomi’s art easily shifts between different modes that expresses what the characters are going through. When Teru and a couple of her friends express solidarity, they strike a fighting pose straight out of comedic shonen manga and vow “Even if we are poor and are clothes are shabby! Even if we are ugly and girls don’t like us! Our hearts bloom like flowers, beautiful and strong! And we’re proud of it!! !” Kurosaki looks like a capable action hero when he leaps to defend his girl and when they share a quiet moment in the school’s garden the backdrop of flowers and significant glances creates an emotionally charged mood broken only by Kurosaki telling Teru that she’s stupid for thinking he’s Daisy. The supporting cast is rounded out by the addition of the new school counselor Riko. She is also someone who used to work with Kurosaki and Teru’s brother. Riko’s also interested in looking after Teru and when Teru seeks her advice she tells Teru that Kurosaki is a terrible, selfish person. Teru thinks that it is true that Kurosaki might be terrible because she has no idea what he’s thinking, so she vows to become “a terrible woman whose thoughts are unreadable” so she can play with his emotions. Teru and Daisy’s texts to each other provide an interesting counterpoint to the relationship between Teru and Kurosaki. He has more knowledge of her inner feelings, and Teru will sometimes confess something to Daisy and put on an entirely different facade for Kurosaki. Teru’s troubles continue as she continues to be the target of people who are after her brother’s research. The emotional strain of protecting Teru and holding back his feelings for her begins to weigh more heavily on Kurosaki, and the reader sees a flashback to a scene between him and Teru’s brother that seems a little creepy. One thing that I thought was curious about this manga was the author bios in the back of the books. I’d thought that Kyousuke Motomi was one of the few men working as a shoujo manga artist, but the author bios indicated the author was female. On the other hand, the self-portrait of the author looked like it had a very stylized mustache, and there’s an a author comment about facial hair growth. So I’m not sure what to think, but I’d honestly be curious to read more shoujo written by men just as I enjoy shonen manga written by women. Even though some of the plot points in Dengeki Daisy manga aren’t very unique, by the end of these two volumes I was totally invested in wanting to see what happens to Teru and Kurosaki. The industrial sabotage subplot and the events surrounding the death of Teru’s brother creates an ongoing mystery that works as a counterweight to the budding romance. Also, I find the idea of a romance between a high school girl and a seemingly benign yet emotionally traumatized hacker who is posing as a school custodian just creepy enough to be entertaining while not quite entering into the “No, this is yucky” territory of a manga like Black Bird. Teru seems to be extremely resilient and is able to cope with Kurosaki by coming up with quick put-downs whenever he seems mean. Dengeki Daisy manages to blend different emotional aspects to come up with a compelling story. I enjoyed reading this series because there’s suspense, romance, action, and just enough comedy to keep things from being too heavy. I decided to steal an idea from Bully and start a regular Saturday morning cartoon feature. To kick things off, let’s go back a few years and appreciate the gloriousness that is found in the ending credits to FFLCL. I saw this anime some time ago, so it is just a jumbled mess in my head of robots, vespas, aliens, and an inexplicable giant iron. One of the most memorable things about this show was the sound track, provided by The Pillows. I don’t think you can listen to “Ride On Shooting Star” and not feel a little bit happier by the end of the song. Since I have drunk the iPad kool-aid, I am enjoying reading online comics on it using Comixology. 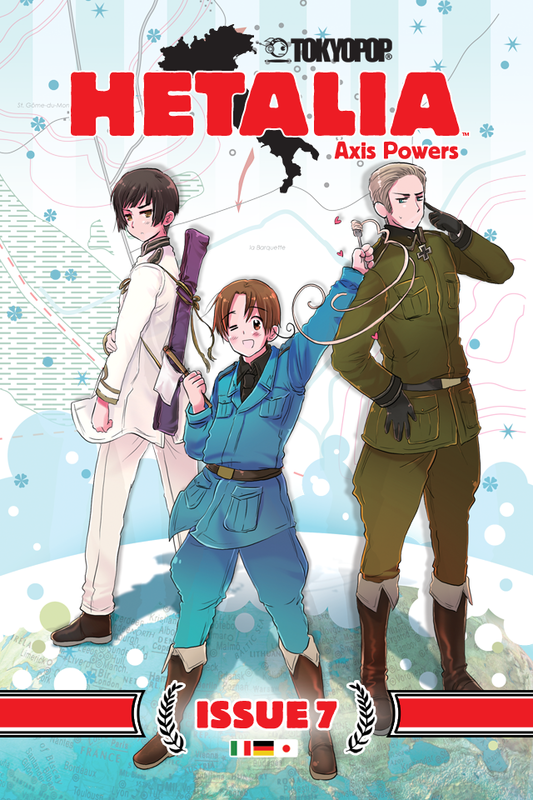 So I was psyched to see that Tokyopop is offering a sample chapter of the next Hetalia chapter on Comixology on Oct 24th. Here’s the link provided for the download. I wonder if Italy will be waving his surrender flag again. Oh, that wacky Italy! I threw together a poll about manga on hiatus over on Manga Views and thought the results were interesting. I didn’t include every stalled manga series that I knew of because I was trying to represent a few different publishers. So it was interesting to see from the small section of the mangasphere that voted that the love for Even a Monkey Can Draw Manga remains so strong. I also had no idea how fervently people missed Nodame Cantible. I read the first few volumes of that series but lost steam a little bit. There were some good additions in the comments with votes for some horror and seinen manga, which tend to not be on my radar very much. I miss many of the series listed on the poll, but I voted for Crown over Swan, just because Crown is so goofy, and I’m determined to just buy the rest of Swan in Japanese sometimes and at least enjoy the pretty pictures even if I can’t really tell what’s going on. Swan is one of those series that is so visual in its storytelling I think I’d enjoy reading it even in the absence of a translation. 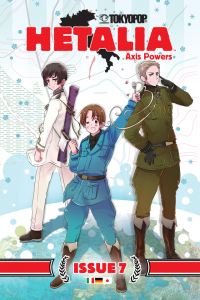 Harelequin manga might be a little bit on the disposable side – I don’t know if I’ve read any that I know I’d want to reread but I’m just getting over a cold and there is really no better manga to read while you have a stuffy head. So here are quick takes on two Harlequin manga that have the word Cinderella in their titles. One manga was good, and one was not so good. Cynthia has worked as the personal secretary to the patriarch of a rich family, Alfred Wingate. She’s engaged to his womanizing grandson Graham, but decides that she has to call the engagement off because Graham is a pathological cheater. Things get complicated when Alfred dies and leaves his mansion to Cynthia, along with the qualification that she can’t give the mansion back to the WIngate family. If she doesn’t take it, it has to go to charity. Graham’s long lost brother Rick shows up for the reading of the will, and promptly decides that Cynthia is a scheming woman who got close to his family in order to grab her share of the Wingate fortune. The quality of these Harlequin manga can be erratic. Sometimes they are good in a brain candy type of way, but other times they really seem rushed. 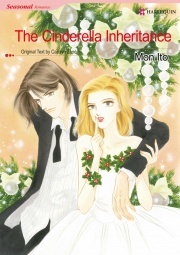 Some of the transitions between scenes in The Cinderella Inheritance seemed a little jerky and the plot elements were introduced randomly, without a real connection to the character’s emotions or backgrounds. I’m never entirely sure if these execution problems are due to issues with the adaptation or the source material because let’s face it, we’re talking about harlequin romance novels here. Of course, Rick and Cynthia fall in love with each other while she’s jugging the expectations of the Wingates that she marry Graham so the mansion will stay in the family. Of course she’s just a good girl who is working her way for college, and while Rick is initially suspicious he finds himself falling in love with her despite his better judgment. I didn’t find Ito’s character designs very appealing, and the art was static. The characters just seemed like paper dolls put through the paces to satisfy a fairly predictable plot. This title is skipable, but I enjoyed the other Harlequin Manga with Cinderella in the title much much more. Charlotte and Gabe are best friends. She’s a bit of a tomboy and she goes along with Gabe to all of his typical guy-like activities like poker and football games. He even takes her out to a bachelor party right before she’s supposed to be the maid of honor at his sister’s wedding. They constantly compete with each other by making stupid bets. Charlotte has a bit of a psychological complex where she thinks of herself as unfeminine, which is absolutely ridiculous because Sagara draws her as a classic shoujo heroine with shining eyes and glossy hair. I guess the thing that signals that she isn’t very girly is the fact that she always has her hair pulled back in a ponytail. I’ve decided that I enjoy these Harlequin manga the most when the art is extra super-girly and this manga didn’t disappoint in that category. Take a look at the cover where our cute couple is surrounded by both roses and weird blobby sparkly things. The character designs are cute, with bee-stung lips and perfect hair. The only odd thing is that Sagara tends to draw her men with extra long eyebrows, which sometimes gave Gabe a vaguely insectoid appearance. But, unlike the flat personalities in the previous manga, The Cinderella Solution really takes the time to establish the bickering relationship between Gabe and Charlotte. She’s in agony performing her bridesmaid duties at the wedding and Gabe is the master of casually cruel comments like “Do you think Charlotte is the wife type? She’ll be just fine single for the rest of her life.” Goaded beyond her limits, Charlotte bets Gabe $1000 that she’ll find someone to propose marriage to her in a month. She embarks on a makeover campaign, and soon finds a potential suitor when an eligible bachelor moves next door. Gabe is surprised by his growing feelings of jealousy as he sees other men notice his best friend. Charlotte uses the bet as a way of gaining more self confidence, and Gabe is soon confronted with the decision that he might have to give up platonic friendship for romance or lose her forever. The Cinderella Solution was an enjoyable read simply because the characters were more fully developed, so I was interested in seeing the conclusion of their story. I tend to like romances more when some funny moments are incorporated, so I appreciated Charlotte inadvertently introducing herself to her neighbor while wearing a mud pack on her face and Gabe’s unique approach to formal wear when he goes to spy on Charlotte and her wanna-be boyfriend at a party. This was definitely a better than average Harlequin manga title. I’d read the first volume of The Dreaming before and enjoyed it, but I hadn’t read the last two volumes of the series. I thought looking at the new omnibus edition would be a good pick during October. This was one of Tokyopop’s more successful titles out of their big OEL push several years ago, and the collected edition features several color pages, bonus stories, and an author interview. Identical twins Amber and Jeanie arrive at a boarding school called Greenwitch Private College placed far in the Australian bushlands. Their Aunt Jessie is headmistress at the school, but after getting the twins settled she takes off on an extended trip, leaving them alone to get adjusted. They soon find that the school isn’t what it seems. The vice principal Mrs Skeener has a pathological aversion to twins. There’s a mysterious locked room down one corridor that’s been ineffectively disguised by wallpaper. Paintings in the school seem to tell the story of something horrible happening to girls in the Victorian era. Jeanie is the more outgoing twin, and she sets herself the task of unraveling the mystery behind the strangeness at the school. Amber is more sensitive to her surroundings and has horrible dreams, taking refuge in sleeping pills and the hope that she won’t remember the details of her dreams when she’s awake. As befitting a manga called The Dreaming, Jeanie gradually gets a full picture of the school by piecing details of different stories together. She shares frightening dreams with her sister, where they are lost in the bush wearing victorian dress, trapped under trees that rain blood. Other students share details that allow her to gradually get a full picture of the school’s history. Girls have gone missing before in the past, and when the ringleader of an ill-fated seance in the present day goes missing it looks like the disappearances are starting to happen again. The only criticism I have of the book is that it sometimes seems a little referential. There’s the crazy older spinster character in the person of Mrs Skeener. Characters frequently refer to “odd rumors” and if you’ve ever seen a scene of girls trying a seance in a horror movie, you know that when Jeanie and Amber’s classmates stage one it isn’t going to turn out well. Still, if you’ve enjoyed gothic novels and episodes of the Twilight Zone in the past, there’s a certain amount of pleasant nostalgia invoked in the reader by The Dreaming. Queenie Chan creates a suitably gothic atmosphere for her book. The wide shots of the school surrounded by dense bushland look incredibly claustrophobic. There’s plenty of detail included in the school’s interior and the Victorian costumes of the phantoms that come to haunt the current students. Setting the story in Australia provides an interesting source of local ghost legends to draw from as well. I especially appreciated the feeling of the epilogue, which evoked the spirit of Daphne du Marier’s opening line in Rebecca “Last night I dreamt I went to Manderley again,” as Jessie revisits her own history with the school. I liked all the bonus content included with this omnibus. There’s an extra story included at the end that shows how Greenwitch Private College will endure even after the twins’ history with the place has ended. Omake episodes called “The Haunted Linen Cupboard” are included at the end of each volume, giving Chan the opportunity to make fun of some of the horror conventions that she uses in The Dreaming. Overall, this series provided old-fashioned horror fun with plenty of spooky dreams, evil old women, Australian spirits, and the occasional axe. For more about Queenie Chan, visit her website. I’ve been looking forward to reading this manga series. Story of Saiunkoku is a light novel series in Japan which has spinoffs like an anime version and this manga version. I’ve watched a few episodes of the first season of the anime and enjoyed it very much, but I think that the manga stands on its own. You don’t need to be familiar with the anime to enjoy the manga, you’d just need to have an appreciation for strong female heroines and Chinese-like fantasy world settings, and who doesn’t like those things? Shurei Hong is a young noblewoman whose family has fallen on hard times. Her mother is dead and she lives in a dilapidated mansion. Her father’s salary as court archivist doesn’t provide enough money to fix up the house or even afford a daily ration of rice. Shurei spends her time teaching the village children. Her ambition when she was young was to become a civil servant, and her father encouraged her in her studies even though as a woman she wouldn’t be permitted to take the exam. Shurei is helped by Seiran, who came to the house originally a a servant but functions like an adopted older brother. Shurei’s life changes when an adviser to the court comes to her with a proposition: Shurei will enter the court as the royal consort and try to push the emperor Ruyki into stepping up and leading his country. Ryuki appears on the surface to be a dissolute noble but it soon becomes clear that he has reasons for acting the way he does. He grew up as the youngest son in an abusive household, and his indifference functions like a kind of armor. Shurei has seen the way the people of the country suffer, and she won’t stand for an emperor who will do nothing to help them. One of my favorite things about Story of Saiunkoku was Shurei. Having a heroine in manga who places such a high value on education is rare, and she genuinely cares about her students and the people who don’t have all the advantages of nobility. She’s not stuck-up, and is quite capable of indulging in a bit of whining to Seiran about being forced to eat barley instead of the glorious rice that she craves, but she soon stops feeling sorry for herself and focuses on other people. Her main motivation for entering the court is the fee that she’s promised if she manages to prod Ryuki into action. When she gets there she’s astounded by the amount of waste as the nobles surround themselves with expensive trinkets while the common people go hungry. If Ryuki was just sulking because he’s a poor little rich boy, he wouldn’t be an appealing character. But Shurei’s arrival causes him to start opening up to other people. He notices that Shurei’s hands don’t look like they belong to a noble lady, and she explains about how hard she’s had to work to build a home for her father and Seiran. He shifts from being closed off to expressing enthusiasm when Shurei gives him a present because no one had ever given him anything before. Seiran thinks that he’s “An emperor as pure as a blank page…He seems almost unnaturally untainted and has no affectations. I’m sure he’ll be able to change himself immensely from here on.” The first volume of the manga was mostly concerned with Shurei and Ryuki getting to know each other, but I’m hoping that more attention gets paid to the supporting cast in future volumes. Seiran is a self-contained martial artist of great skill who just happens to share a name with Ryuki’s exiled older brother. Ryuki is helped by the advisers Koyu and Shuei, and the archives that Seiran’s father runs serve as a convenient place to escape all the court intrigue that surrounds the emperor. Yura does a good job portraying the Chinese-influenced setting of Saiunkoku. The streets and wagons of the world outside the palace contrast with the overly manicured gardens of the court. One thing I liked about the adaptation of this manga is the way Ryuki’s overly formal speech is presented in contrast with the more natural way that everyone else talks. It serves as a reminder of the way he’s held apart from everybody else by his status. Ryuki asks Shurei to call him by name by saying “It’s unfair that only we don’t get to be called by name. Our name is so neglected – don’t you feel sorry for it?” Story of Saiunkoku has plenty of humor to contrast with the more touching moments portrayed in the manga. Seiran hugs Shurei when she breaks down thinking about the way she’s teaching students to become good civil servants instead of taking the exam herself, saying “My Lady, you’ve really worked hard, haven’t you?” The directionally-impaired scholar Koyu is only able to meet the emperor and start tutoring him after Shurei intervenes, and he yells “From here on I shall no longer hold back. Please do prepare yourself” while throwing down stacks of books. I think this series will appeal to anyone who enjoys fantasy shoujo. The heroine surrounded by a group of handsome men might appeal to fans of Fushigi Yugi. The emphasis on geopolitics and learning to rule a country would also appeal to anyone who’s read the novels or seen the anime Twelve Kingdoms. I’m happy to find a new fantasy shoujo series to follow just when some of my current favorites might be ending in the next year. Note: this piece originally appeared on The Bureau Chiefs as part of my Anna Reads Manga feature. It is easy to find plenty of manga about intrepid boy ninjas or vampire boarding schools on the crowded shelves of your chain bookstore, but it is sometimes difficult to distinguish manga titles aimed at adults. This column will provide an overview of the best manga out there featuring characters in their twenties. This is a single volume of short stories by the creator of the sprawling samurai saga Blade of the Immortal. Samura uses the short story form to indulge in writing humor and as a result the episodes included in this book have a slightly manic edge. Other stories in the collection include an epic tale of manga artist tribulation as a woman takes her editor’s advice, loses her comics gig, works in a coffee shop, becomes a kept woman, manages to attain mastery at the game of mah-jong, and ends up apprenticed to a mafia boss in a few short years only to finally become a manga master. A half-Italian half-Japanese teacher decides take revenge on Japan by sleeping with the country’s women until he meets two girls who are immune to his charms. Some of the elements in Ohikkoshi will appeal to fans of Brian Lee O’Malley’s Scott Pilgrim series. Characters break the fourth wall and comment directly at the reader. When Akagi and Sachi go on a horrific zoo date, information about the animals is listed in game stat format. Samura will often shift into alternate art styles for a panel or two. Ohikkoshi has a bit of a rough and frenetic feel, but it is hard not to be captivated by Samura’s sense of humor. Josei (manga aimed at adult women) is probably the scarcest manga genre translated in English, which is why I cherish any title that portrays the life of a post-college woman instead of a starry-eyed high school girl. Minami is 27 years old. Her relationship with her boyfriend is going nowhere. Every morning she gets dressed for work feeling as if she’s putting on battle armor. She heads into the office on a Sunday only to find all of her co-workers already there. Minimai is paralyzed by the thought of ending up like her boss – a single woman in her 40s. When her boyfriend dumps her, she throws herself into work, trying to prepare new presentations and socializing with her co-workers. She tries to avoid being alone in her trashed apartment, but she lives so much in her own head that she doesn’t pick up on the crush one of her co-workers has on her. Okazaki frequently interposes nature symbolism like water, fish, or grass with Minami’s urban office environment. Suppli has a melancholy feel that reflects the anxieties of its main character. Sometimes Minami’s only connection with another person is sitting with a co-worker in a break room at the office, watching the sun rise. This fourteen volume series is sadly out of print but it is well worth tracking down. Sumire maintains an intimidating presence at her workplace. She reacts coolly when her boyfriend breaks up with her and her co-workers are afraid to comment to her about it due to her bitchy reputation. As she returns to her apartment after a long day of work she finds an injured boy sleeping in a cardboard box. Sumire takes him into her house and feeds him. She jokingly offers him a place to stay if he’ll be her pet, which means following all her orders. He accepts. She names the boy “Momo” after her childhood dog. Having somebody else to care for eases Sumire’s tension from work. Momo is just as ambitious as Sumire, except he’s pursuing his studies as a modern dancer. Sumire and Momo enjoy domestic life together but things may change when Sumire gets a new boyfriend who miraculously fulfills her requirements for height, salary, and education. She seesaws back and forth between portraying her idea of the perfect career woman and indulging in wrestling TV shows when she’s at home with Momo. Tramps Like Us balances a light and fluffy chicklit quality with a sensitive portrayal of an unconventional but evolving relationship. Asano comes by his emphasis on aimless twentysomething characters honestly; he was in his early 20s when he started publishing his stories. Toga has always been “the reliable one” among her group of friends, but she drops out of school and struggles with the idea of reactivating her musical ambitions. A schoolgirl engages in a dangerous contest to win social capital. A man briefly visits his daughter and ex-wife in a park. Aimless ronin studying for their college entrance exams have a memorable encounter with a basket case they meet in the street. Some of the characters are seen again briefly in other stories, making the lives of the different people in What a Wonderful World seem interconnected. While reading about the lives of people who haven’t figured out what they want to might seem like an invitation to wallow in ennui, this manga lives up to its title. Asano captures the small moments that people use to define themselves. A change in hairstyle, the realization that the reliability of a relationship can be a comfort, and the loss of an apartment each contribute to a moment of reflection that lets someone move on with their life. As I was reading the manga and enjoying the combination of the prosaic and surreal in Asano’s art I realized that I was especially struck by the pacing and paneling. There was frequently a small jolt or surprise right before I’d turn the page to read the conclusion of a story, and this lent a dynamic feel to the manga even when some of the stories were just short sketches. A later work than What a Wonderful World, Solanin shows what Asano can achieve with more maturity. Meiko works at a job she hates. She’s crushed in the subway on her way to work, and has difficulty listening when her boss yells at her because she’s distracted by his hideous nose hairs. When she goes home, she’s greeted by her boyfriend Taneda. He works part-time and aimlessly pursues his dream of music. Meiko’s horrible job pays well, and she’s saved up some money. One day she abruptly decides to quit. She lazes around and tries being domestic, but quickly realizes that too much free time can be boring. Taneda can’t deal with the idea of being the breadwinner, and their relationship begins to suffer from the strain. Meiko encourages Taneda to pursue his dream of making music. Although Meiko is the unifying character, Solanin frequently makes narrative detours that show readers the inner worlds of other members of Taneda’s college band. The shifting point of view is a literary device that I enjoy in novels, and it definitely contributed to the depth of character development in this manga. Small details in the way the characters’ interacted with their environment made their world seem surreal. Bunnies with Xs for faces appear on key chains and Taneda’s CD. Meiko watches a bizarre bear attack training news story on TV. Taneda has a “me summit” where all the aspects of his personality wear a different slogan on their t-shirts to comment on his life. Towards the end of Solanin Meiko begins to come into her own in an unexpected fashion. She’s still supported by her group of friends, but the conclusion is bittersweet. Solanin captures the restless feelings many people have as they move into adulthood.